We previously covered the Top 10 Tips for PR Success Using HARO. By now, I’m going to assume that most of you have heard of and signed up for HARO. Just in case there are a few of you who don’t know what it is, HARO is an email list you sign up for to receive queries each day from reporters who need sources for their stories. This is a great way to share your expertise and get some publicity for your company or for the clients you represent. Of course, there are tens of thousands of people out there signed up for the HARO email list, so you won’t be the only one responding to queries. In short, everyone else is your competition. You need to stand out from the competition if you want your pitches to get noticed and earn you media coverage. Here are some simple tips to keep in mind when responding to HARO queries. 1. Get to the point – Remember, reporters are incredibly busy, and if they’re sending out queries through HARO, they probably have hundreds, even thousands, of pitches to sort through. So don’t waste their time. Get to the point as quickly as possible, and make sure your pitch is relevant. Now isn’t the time to ramble on or to add any unnecessary details to the conversation. 2. Address everything in the query – A lot of reporters will have specific instructions in their queries. They’ll ask you to answer certain questions or to provide them with specific information. They may even tell you what to put in your subject line so they can easily sort through their emails. Make sure to double check the query before sending out your pitch so you know you’ve addressed everything. 3. Don’t just copy and paste a press release – Queries are very specific and designed to solicit a very specific response. Just responding with a generic press release isn’t going to cut it. You have to explain what it is about you/your product/your service that makes it right for what the reporter needs. 4. 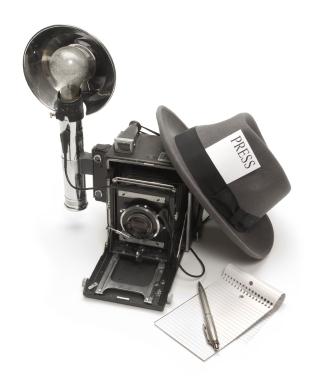 Respond quickly – Reporters are on tight deadlines, and your competitors are all fighting to get media coverage. This means you have to be ready for action. HARO emails are sent out in the morning, noon, and evening. Be on your toes, and try to respond quickly to relevant queries. 5. Give reporters a taste of what you can offer – If reporters are looking for tips or advice from an expert on a subject, don’t just reply back saying you’re an expert and would love to supply some tips. Give the reporter a sample of what you can offer. Include 2-3 tips in your pitch so they know you’re a good source. 6. Don’t be a pest – Following up is an important part of PR, but that’s not really the case with HARO. HARO queries tend to be a one-time thing. You send in your response, and if you don’t hear back, the reporter has already received what he or she is looking for. 7. Include your contact info – Always include your basic contact information in your pitch so the reporter can follow up with you if necessary. Make sure to repeat your email address and include your name and phone number. What are some of your secrets to successfully responding to HARO queries? @ereleases HARO tips were helpful, i’ve been looking for something like that. thanks. @davidnowell Thanks David. Glad they were useful!